Family folklore seems to be repeating itself with my daughters. I have written a lot about how my childhood spent moving back and forth across oceans sparked in me the desire to keep moving. Explaining what probably seemed like an excessive 2.5 week vacation to my colleagues, I simply said: “for me, travel is necessary.” My sister, a far more prolific and eloquent writer, has written about how that same childhood fueled in her the desire — the necessity — to put down roots and create stability for her family. I am not sure I would call Lindsey, as she has, “unadventurous.” Working full time plus writing more or less full time plus a full, wonderful and demanding family life would be plenty of adventure for most. Plus, she and her then brand-new boyfriend tested their relationship with a hike up Kilimanjaro. And she brought her family to Jerusalem. All that said, there is no doubt that our chosen relationship to the idea of travel, away-ness, is one of the major differences between my beloved sister and myself. As it seems to be for Hannah and Margaret. 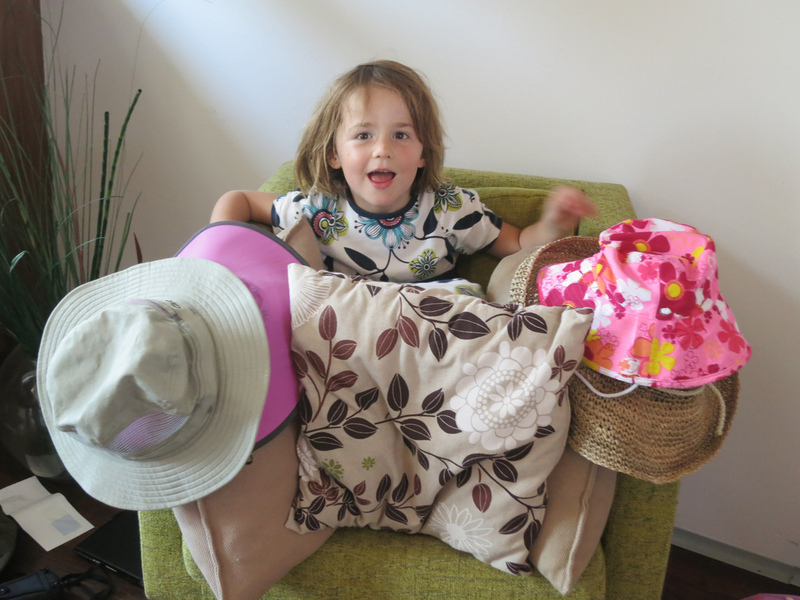 Hannah is still learning how to be a competent traveler. She is only seven after all, so she is not all that resilient yet. But you can tell she wants to be. She can sleep anywhere and eat most anything. She asks a lot of questions and talks a lot (a LOT) about everything she is seeing and sensing and thinking. She wants to be part of every trip. 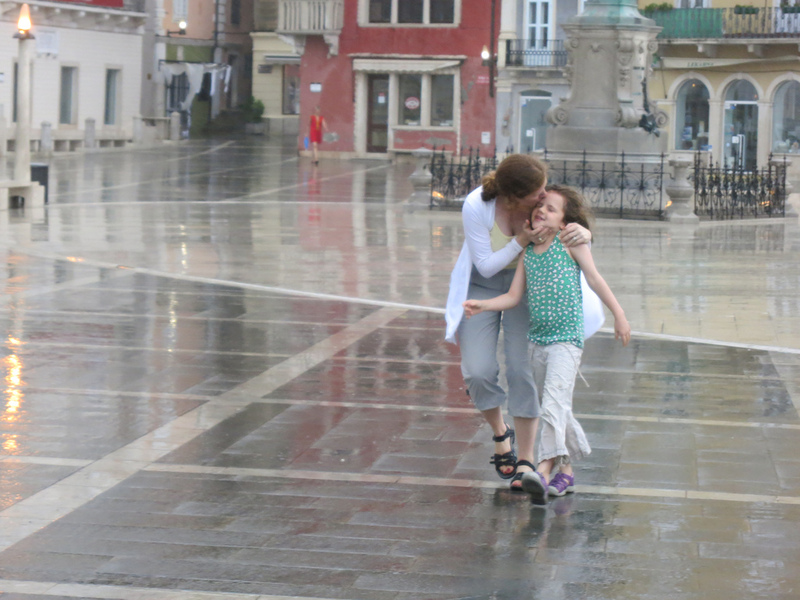 On Monday we arrived in the Slovenian seaside town of Piran in a freak rain and wind storm. (Front page news in the national papers the next day). So we could not swim as planned, but Hannah wanted to get out and see the town and dance in the rain in the main square. Needless to say, so did I. Do you think you and your lovely wandering family might ever come far far east? The tropical rain drenches you in a second and it makes you dance harder and sing louder! I will be thinking of you when Lili, Max and I are next caught in it.